For the first time in history, people are eating out more often than they’re cooking at home. That’s why it’s more important than ever for restaurants to provide fresh, nutritious and wholesome plant-based meals that are good not just for diners’ health, but for the health of our planet. But if you’ve ever felt frustrated by the lack of plant-based options at restaurants, you’re not alone. A surprising 64 out of 100 major restaurant chains across the U.S. don’t offer a single plant-based entrée on the menu. That’s astonishing, given that more and more consumers are interested in plant-based eating. A 2018 report by the research firm Datassential, commissioned by OMD, found that 22% of consumers try to limit their consumption of meat, poultry and seafood, while more than half said they’re eating more fruits and vegetables today than they were a year ago. The number one reason for eating plant-based was health — consumers look for foods that help them look and feel better, whether that means losing weight, or just avoiding a mid-afternoon carb crash. But people also genuinely enjoy fruits and vegetables. 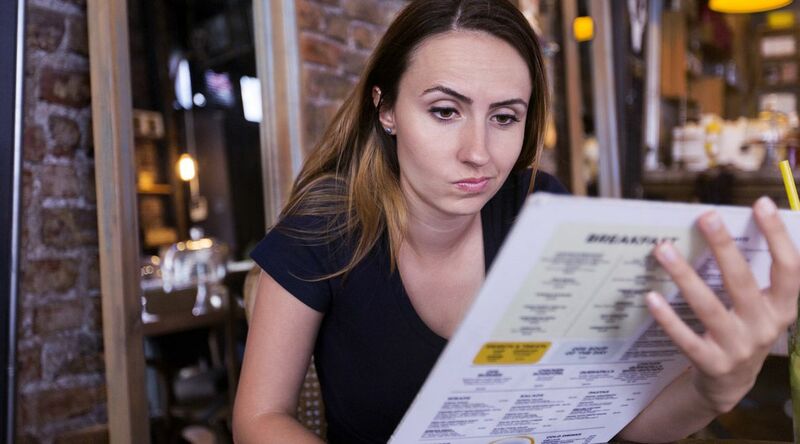 "By updating their menus, restaurants will not only tap into a fast-growing customer base, but also cut costs and refresh their brand image for a new generation. " A whole 85% of consumers said that plant-based foods can be just as satisfying as animal proteins, and people rated stir-fried vegetables as highly as they did pulled pork. This is especially true for Generation Y and Millennials, a group whose buying power will only continue to grow. While restaurants may be lagging behind the trend, they also have an incredible opportunity to take advantage of consumers’ changing preferences. By updating their menus, restaurants will not only tap into a fast-growing customer base, but also cut costs and refresh their brand image for a new generation. But getting plant-based entrées on the menu is about more than just giving people more brunch options. We know that, in many communities across the U.S., the idea of individual choice around food is a myth. In these food deserts, families simply do not have access to the healthy and affordable food that is readily available to others. At the same time, our overconsumption of meat and dairy products is coming at a huge price to our environment. Animal agriculture represents over 14% of global greenhouse gas emissions, more than all transportation sources combined, and is a leading cause of deforestation, biodiversity loss, and water pollution worldwide. And the impacts of excessive animal protein on human health is well documented, with increased risks for heart disease, diabetes, and several cancers. But restaurants have the power to make a difference. It doesn’t have to take much. Just adding a single plant-based entreé to the menu would improve access to healthy food for families in low-income neighborhoods, give people more power to make choices for their own health, and reduce our carbon footprint. And having more brunch options doesn’t sound bad either! Hungry for change? Take the OMD Pledge to eat at least one plant-based meal a day and get a Pledge Tracker delivered to your inbox to help you on your path to better health.